Pay for children’s health care. Zimbabwe has no national health service. Orphaned children have no one to pay for their care; so poor children suffering from treatable illness like TB, cancer and HIV die prematurely because they cannot afford medicine. Pay for poorer children’s education or school supplies. Because of the difficulties Zimbabwe has experienced, the country can no longer afford to provide free education for everyone. Everything from attendance fees to uniform and from books to pencils must be bought and paid for. Children who have lost a parent are unable to pay for education and so are deprived of a positive future. Provide financial assistance to children’s homes. 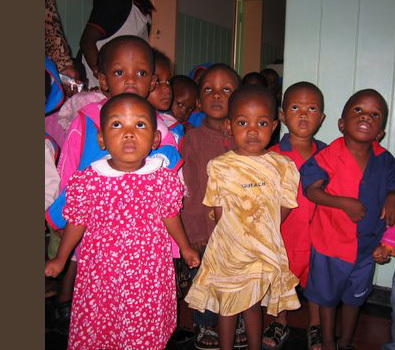 With no national health or welfare service, caring for orphaned children has largely become the work of charities. In a country where everything costs money not many people are able to donate to the care of others. Children’s homes need help buying even basic items like food and clothing. Social impact projects: larger scale projects backed by individuals, foundations or companies. to manage our own projects and quickly help those in need. Reopen or refurbish our own education and learning “Community” centres. Social impact projects: large scale projects backed by individuals, foundations or companies.